It is the rising star of Italian wine, a greeny-gold white starting to earn an international reputation for its distinctive minerally edge and ageing potential. Yet pecorino, which shares its name with one of Italy’s best-known cheeses, might not even exist but for the vision of a trailblazing pioneer fondly remembered by his daughters as being “a little bit crazy”. 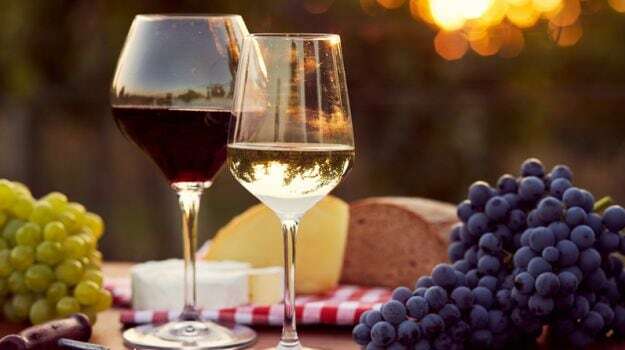 “Pecorino is not just a great grape variety; it is also one of Italy’s biggest wine success stories of the 21st century,” says writer Ian d’Agata, the author of “Native Wine Grapes of Italy”. The grape’s name is derived from the Italian word for sheep, “pecora”, which are ubiquitous in the hills of central Italy, where both wild and cultivated pecorino vines abounded in the 19th century, providing a ready snack for shepherds. Professional grape growers turned away from pecorino to the higher-yielding but less characterful varieties trebbiano and malvasia, grapes generally destined to be made into non-descript wines by cooperatives lacking Cocci Grifoni’s vision. “Pecorino is not generous in yield terms and, at that time, volume was everything; farmers needed money,” explains Marilena Cocci Grifoni, who now runs the estate alongside her winemaker sister Paola. A peach orchard was ripped up to make way for what is now the “mother vineyard” and the first Cocci Grifoni Pecorino was made from the 1990 harvest. That year’s production had to be bottled as a humble table wine but recognition was to come quickly. Winemaker Paolo says a good pecorino should smell of tropical fruits but also display balsamic, herbal and honey notes thanks to the grapes’ combination of high sugar and high acidity. “The Cocci Griffonis rediscovered pecorino but I was the one to baptise it,” says the university philosophy lecturer. “If I need to meditate I read Saint Augustine, I don’t drink a glass of wine,” he told AFP, saying he has no time for those who seek to elevate fermented grape juice into something overly complex. “I drink when I’m happy, with friends and having fun. That’s what wine is for. Wine expert D’Agata meanwhile warns that rapidly expanding production could make pecorino a victim of its own success. “Right now it is Italy’s hottest white. And there is no doubt it can give complex, age-worthy wines,” he says.